Hello ... Hello ... my old friends ... It's great to see you once again! 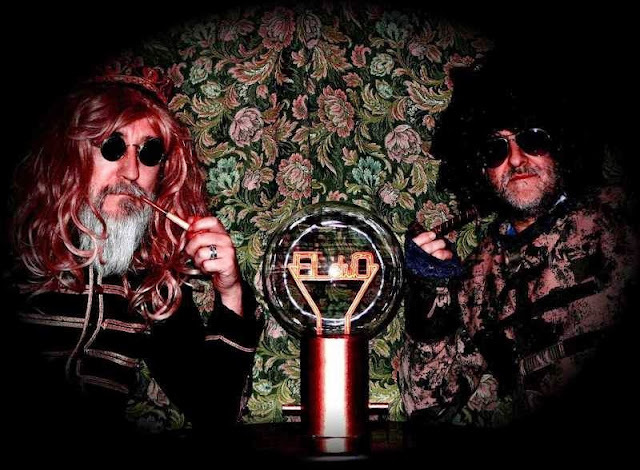 They are friends of ELO Beatles Forever [ELOBF] and now my ELO loving buddies Andy Wood [alias Fruity Buckfoot] and Ben Jones have joined up to form ELduO - who are in their own words "... a long distance musical duo based on their mutual love of ELO and family!" Andy, who is from County Durham in the north east of England, and Ben, a native of Swansea in South Wales, have just released the very first ELduO single "A Rock 'n' Roll Christmas [Like The Ones We Used To Know]" as well as an instrumental track entitled "The King Falls" and a new tune called "Send Me Back" [written by Ben Jones]. KJS: Please tell me how and why you and Ben created ELduO? Andy: Ben commented on my live folk rock version of "Showdown" on YouTube and I replied to him. We then started emailing - then phoning - and then I did a video/song for Ben's appearance on "Golden Balls". After that I went to Wales for Ben's 50th birthday party and we have been firm friends ever since! Ben wrote a cracking song called "No Answer" and he sent me the chords/lyrics with a mp3 of him playing and singing it. I demoed it in early ELO style and ELduO was born! KJS: What was the motivation for your new Christmas single? Andy: I wrote the song a while ago and I felt that the 40th anniversary of 'That Song' was a very apt time to do it so I got in touch with Ben, who came "oopt North" to record it with me! KJS: What can we expect from ELduO in 2014? Andy: The ELduO group will feature whatever we work on. There's a new song by Ben called "Send Me Back" coming soon. It's a concept of "Eldorado" meets "Time"! Ben plays guitar and sings on it and I have added loads of synthesisers, bass and vocoder. There will be much more to come! KJS: How can folks find out more about ELduO? 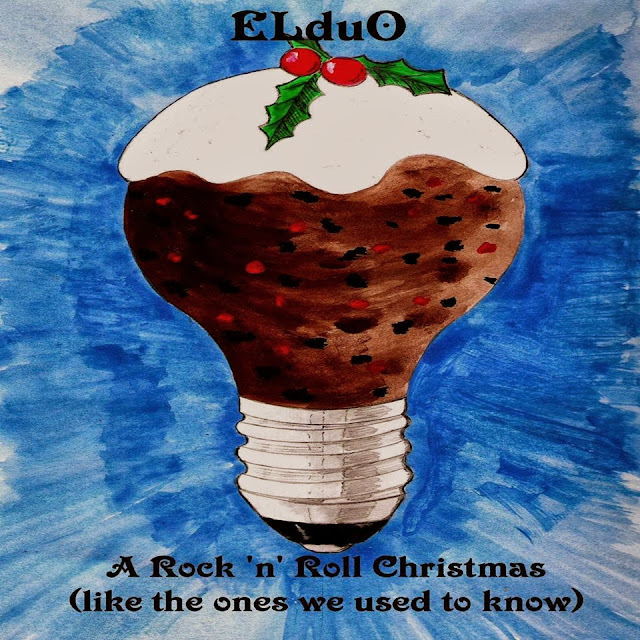 Andy: There is not much more to know about ELduO yet, but keep an eye out in our Facebook group and on Reverbnation, where we will update regularly. KJS: And what are the fave ELO, Move, Roy Wood and Idle Race songs of ELduO? Andy: In order: "10538 Overture" [my all time favourite record]; "Blackberry Way"; "Dear Elaine" and "Sea Of Dreams". ELO Beatles Forever [ELOBF] recommend ELduO to those enlightened folks who enjoy the music of ELO, Jeff Lynne, The Move, Roy Wood, The Idle Race, 'Brum Beat', The Beatles and related artistes. It's great to watch the tradition of writing Christmas song are returning. Hopefully the songs are charting somewhere, as they used to in the 70's. Bringing on back the good times.